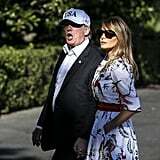 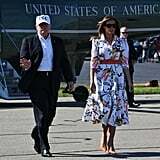 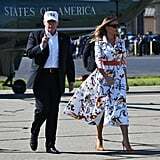 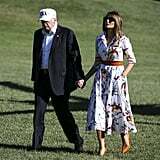 Melania Trump didn't shy away from a bold statement dress during her walk across the South Lawn with President Donald Trump, after arriving back in Washington D.C. on July 8. 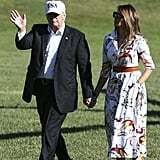 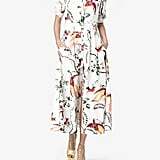 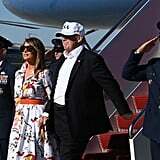 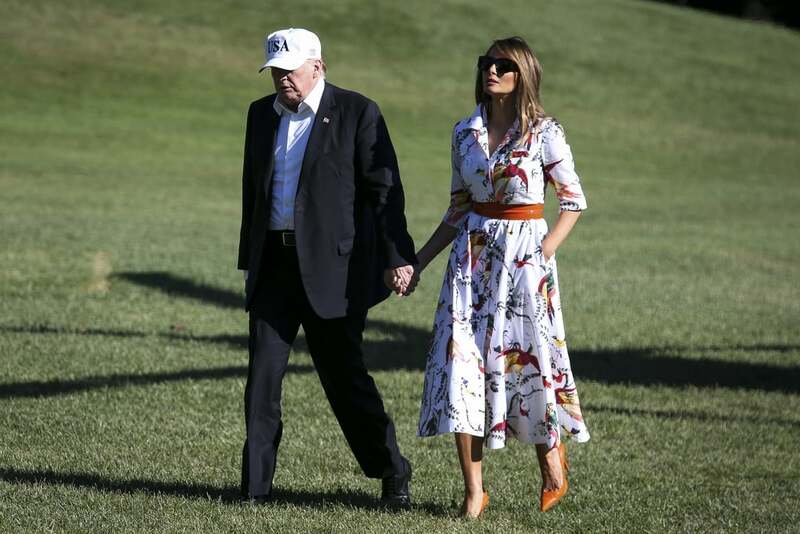 FLOTUS chose a cotton printed midi-dress from Kasia for the occasion, pairing the outfit with orange snakeskin Manolo Blahnik pumps, a red belt cinched at the waist, and oversized sunglasses. 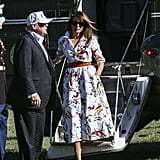 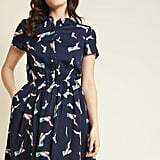 The First Lady's collared dress usually retails for $1,294 and features colourful birds and plants against a white background. 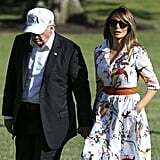 Ahead, see Melania's bold dress from all angles and shop the exact style (it's on sale!) 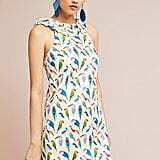 and similar versions for yourself.